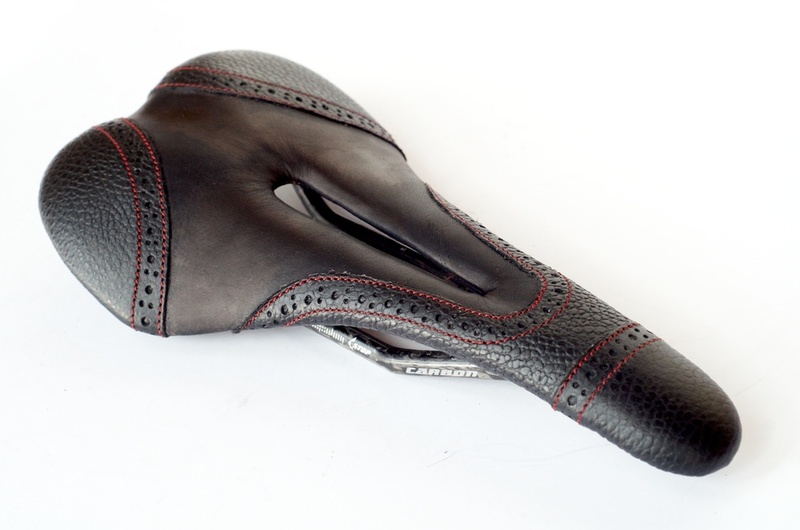 These are the updated laser cut Fizik Arione saddles with the classic brogue wingtip design. 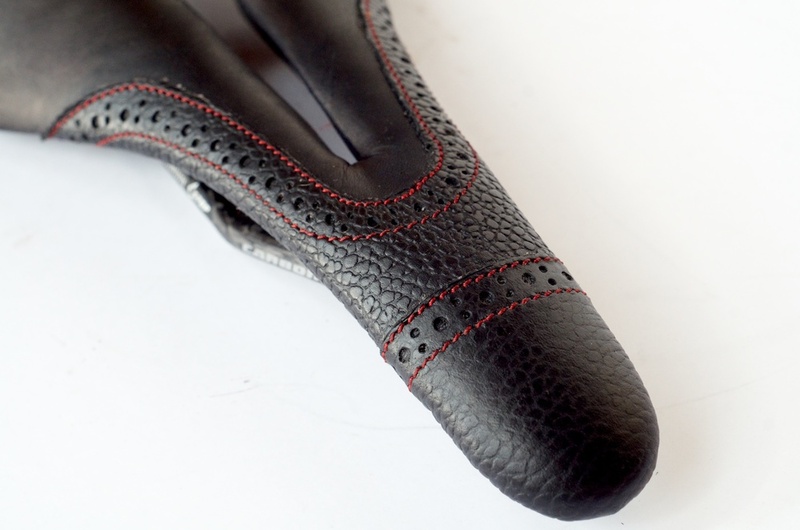 These are shown in Antique brown with Smoke and Old Gold stitching. 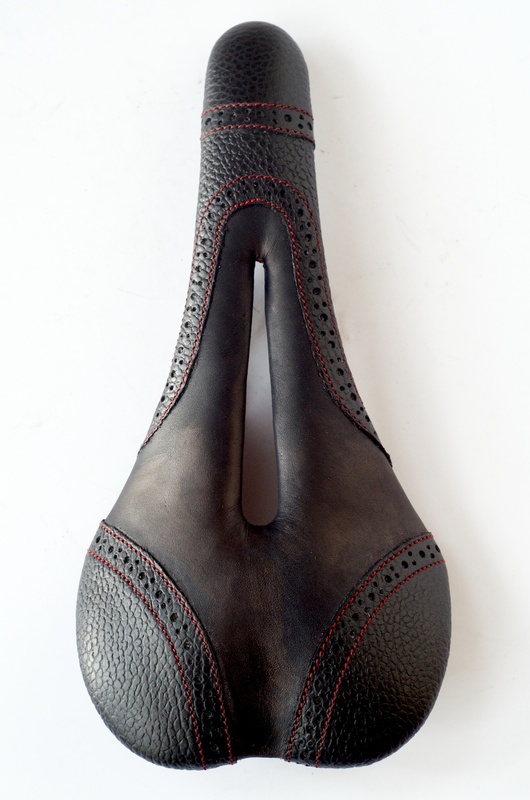 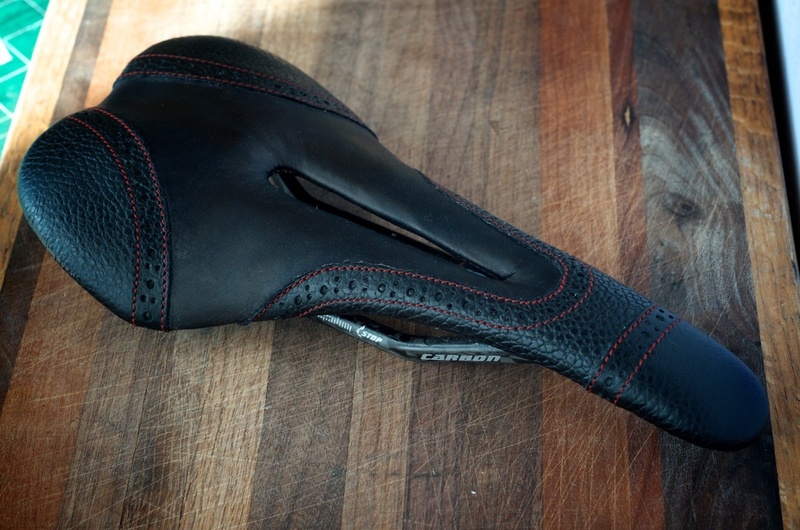 This Custom Leather Oxford Carbon Selle Italia Road Bike Saddle was made for a customer I met at NAHBS.